The Shore takes place on a set of small islands off the coast of Virginia, a place I’ve never been and frankly didn’t know existed. However, the destitute and desperate characters could have stepped right off the front porches of places I’m more intimately familiar with. We may not have an ocean nearby, but there’s no shortage of addiction, abuse, and family secrets in rural Kansas. 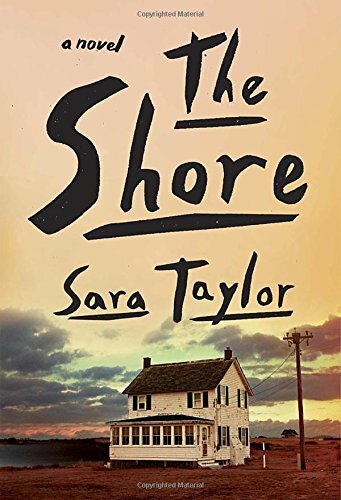 So although the title of Taylor’s novel may imply that her setting is somehow singular, set apart, if you have any familiarity with impoverished American communities, you’ll experience the bright spark of recognition even if you’ve never laid eyes on the Virginia coastline. On paper, this book doesn’t sound like one I’d rush to pick up. Reading about people with hard lives is less and less appealing the older I get. In my younger years, it was exciting to read about tragedy and misfortune because I hadn’t experienced any. It gave a voyeuristic thrill. These days, my empathy dial has been turned up to 11, and I have to be careful what I let into my head. It’s not worth it to me to walk around weighted down by fictional people’s pain. But sometimes authors get the tone of tragedy exactly right, and this is one of those times. None of Taylor’s characters is a helpless victim; they’re tenacious, and more than a little twisted. Taylor focuses primarily on the women of the Shore, but they’re far from timid damsels wasting away in a tower. They may have been treated brutally, but you can bet they’re going to be brutal right back. And what makes them even more terrifying is they have no problem waiting til the time is right to exact their revenge. What really put The Shore over the top for me was the structure. It’s not a novel, and it’s not a collection of short stories. It’s a set of linked, overlapping chapters that, though each one is a discrete, satisfying piece on its own, when read together makes a chillingly effective whole. They jump around in time—in one story, you might read about a girl putting a stop to her father’s abuse (I won’t say exactly how), and in another you meet her mother and discover what led to that critical moment. It pained me every time I had to stop reading—I couldn’t wait to find out what bizarreness would come out of Taylor’s mind next. The Shore is gritty, violent, and absolutely riveting. Sara Taylor is definitely going on my “authors to watch” list. With regards to Crown Publishing and NetGalley for the advance copy. On sale today, May 26! TagsA Little Bit of Blood and Gore Never Hurt Anyone, Brutally Detailed, Dysfunctional Families, Fiction That Reveals Hard Realities, Growing Up is Hard to Do, I Love My Family But..., Keeping Secrets, Living in Poverty, Nonlinear Storytelling, Out For Revenge, Plucky Young Girls, Put Me Inside Someone Else's Head, Seemingly Disparate Threads Coming Together, Small-Town Living, Victims Taking the Power Back, You Think Your Childhood Was Screwed Up?